The Mission Statement for the Off-Highway Motor Vehicle Recreation (OHMVR) Division states it will "ensure that quality recreational opportunities remain available for future generations by providing for education, conservation, and enforcement efforts that balance OHV [Off-Highway Vehicle] recreation impact with programs that conserve and protect cultural and natural resources." 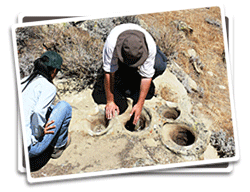 California State Parks OHMVR Division (Division) plays an important role in protecting diverse natural and cultural resources throughout the State. Providing and maintaining long-term, sustained OHV recreation opportunities are dependent upon good resource management practices and continued support of our park visitors. By taking a proactive and dynamic approach in the preservation and protection of our natural and cultural resources, the Division will remain at the forefront in resource management. Please help us be good stewards of the land by staying on trails and riding responsibly. Providing long-term, sustained off-highway vehicle (OHV) recreation opportunities is a top priority in the OHMVR Division. The condition of soils, wildlife, and vegetative resources are continually monitored at all State Vehicular Recreation Areas (SVRA) to determine if soil loss standards and wildlife habitat protection programs are consistent with the goals of the Off-Highway Motor Vehicle program. 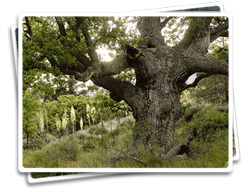 Vegetation creates wildlife habitat while plant roots help stabilize the soil. Through monitoring processes, changes (such as erosion or wildlife population variations) can be detected and the appropriate action taken to mitigate negative impacts. From time to time, certain trails or riding areas may be fenced off or closed in an effort to protect wildlife and restore habitat. 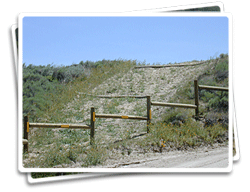 Areas are commonly closed to OHV use through the use of barriers, such as fences, brush piles and signage. Where possible, staff will construct or select well-designed OHV trails through or around project areas for OHV use during restoration. These closed areas are often revegetated with native plant species in order to repair and rehabilitate areas. In an effort to offset potential resource impacts, it is imperative riders stay on existing trails and avoid vegetated areas.